The 210 Series is a smaller version of the 200 Series with M6x1 threads each end. 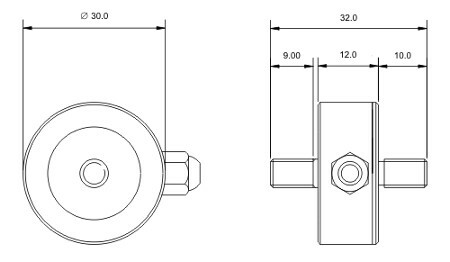 The 210 Series is a range of miniature In-line mounting Load Cells which can be used to measure tensile or compressive forces and are used across a wide range of research and industrial applications. Typical applications include electro-mechanical test rigs and cable tension monitoring/testing.